Astrology.Care - How much does personal natal chart show about money and wealth? 1. The state of the 2nd house for individual's finances: planets in this house and their aspects; another factor is the ruler of the 2nd house and sign positioning, aspects, house; pay attention to the cusp sign of this house. 2. 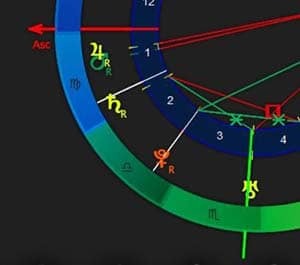 The state of the 8th house for individual's finances gained with the help of connections and/or long-termed relationships: planets in this house and their aspects; another factor is the ruler of the 8th house and sign positioning, house and aspect; pay attention to the cusp sign of this house. 3. 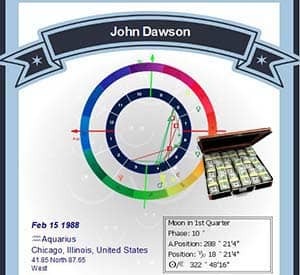 The state of the 8th house for individual's finances gained with the help of entrepreneurship and career ladder: planets in this house and their aspects; another factor is the ruler of the 11th house and sign positioning, house and aspect; pay attention to the cusp sign of this house. 4. The states of Venus, the initial ruler of the 2nd house, and Jupiter the expansion planet. You should pay your attention to the places where Taurus and Sagittarius are located in the chart as well. 5. The ruler of the chart (also known as 'ruler of the Ascendant') and its connection to the rulers of the 2nd and 8th houses. Also admit and take into account all the planets that you see in those houses. 6. Also, look at the position of Saturn and Mars in your chart, for the identification of the native's motivation and impulses. As stand-alone factors they have almost nothing to do with finances and material wealth, but their supporting characteristics only add to your financial well-being. You should've found a certain template here. Basically, anybody can take derivative houses so the identification of the prospects of individual's finances from different fields in life is easier. Let's see the instance: the 5th house is a ruler of originality, and the 2nd house from the 5th house will be the 6th house (if we think 5th house to be the first to start a count from). It means that we would look at the 6th house if we want to know the probability of financial success earned due to the creativity. The 5th house is also a ruler of children and heirs, so the 6th house can also show us the money that are earned thanks to kids (yes, that sounds strange, but it happens, think of child authors, toy manufacturers, children wear designers etc). Hugh Hefner, worked hard to get his wealth, and the activity of his 2nd house ruler – Venus is weak. Bill Gates has Jupiter in conjunction with Pluto in the 2nd house, square Venus and Saturn, Venus and Saturn are also conjunction, and sextile Neptune.